Moneet Mann, 24, started an awareness campaign Will You Marrow Me? after her cancer diagnosis last year. On Saturday, May, 24 Moneet and officials from the Canadian Blood Services’ OneMatch Stem Cell and Marrow Network are hosting a swabbing clinic at the Hershey Centre in Mississauga from 1-6 p.m. It was serendipity that led me to meet Moneet Mann, 24, and chronicle her journey. The tiny stubs of hair on Moneet’s scalp when I met her reminded me of resilient crocuses that push through the earth at the end of winter and are considered harbingers of spring. So, it came, as no surprise the steely determination in Moneet’s sparkling eyes as she talked about the cancer in her body would find a way to slay the dragon that had somehow intruded on her life and dreams. Last Thanksgiving, after being handed a cancer diagnosis, a stunned and shocked Moneet underwent treatment at the Princess Margaret Hospital (PMH) in Toronto for acute myeloid leukemia, but doctors told her she would need a bone marrow transplant. Unlike blood donors, typically, bone marrow matches, are only found within the same ancestry. So when faced against these odds, Moneet knew she had to take charge. Between cancer treatments and praying for a divine intervention, Moneet kept busy with her awareness campaign Will You Marrow me? So far, Will You Marrow Me? has been educating desis on the importance of registering as marrow and stem cells donors. To that end, family and friends have collaborated with local temples and gurudwaras in the GTA to host swabbing clinics there so that the dismal number of donors on the Canadian Blood Services’ OneMatch Stem Cell and Marrow Network can see a surge in numbers. Most people, if asked will tell you with absolute clarity, the precise moment their life changed. Moneet incidentally has two. The first? When she was told she had cancer and the other one happened recently. As I write this, I can only imagine the potency of hope that resides in the Mann household now. Their hard work with Will You Marrow Me? has garnered results. In December, the number of South Asians on the registry was 3.1 per cent, in March it has edged to 3.6 per cent. The Facebook page of Will You Marrow Me? currently has some 5,390 likes and thousands of shares. 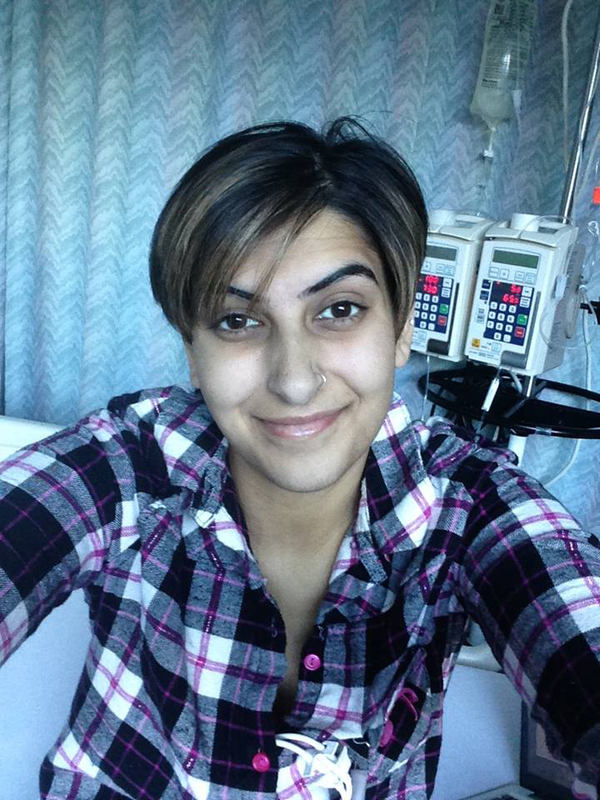 When Moneet was told she had leukemia last October, she was in the final year of a BA/B.Ed program at Lakehead University. 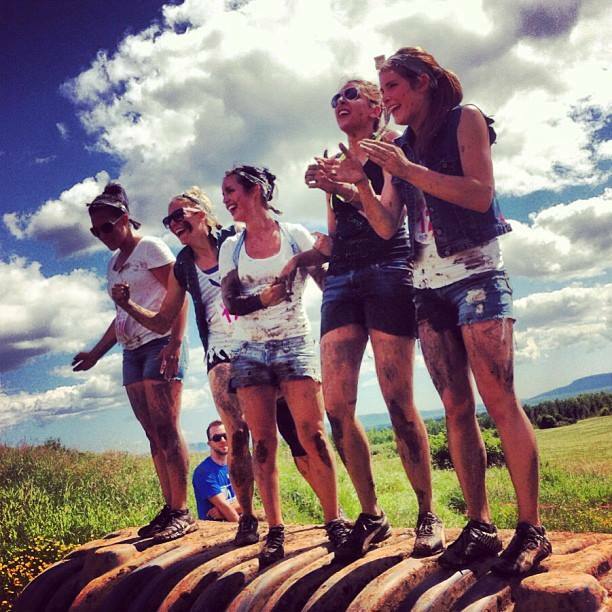 Just a few days earlier, she and few of her friends, had taken part in the Dirty Girls Mud Run in Thunder Bay, Ont. in support of the Canadian Cancer Society. Little did she know, in a strange quirk of fate, she was in fact inadvertently supporting, not just the hundreds of others stricken by cancer, but herself. Since it all began at a fundraiser, this August, Moneet’s friends will be taking part in the Dirty Girls Mud Run in support of Moneet. On Saturday, May 24, Moneet will be at the Carassauga Festival at Hershey Centre (community rinks # 3) at 5500 Rose Cherry Place in Mississauga from 1-6 p.m. for a swab clinic. Please drop by because cancer strikes without a warning and in a blink of an eye, the life you take for granted, can change—irreversibly. 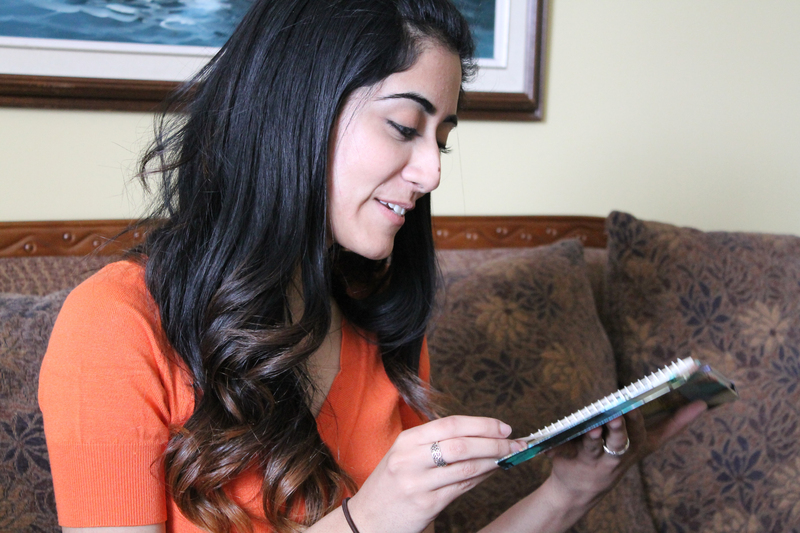 Toronto crooner Jonita Gandhi reads out the contents of a journal she had started when she was seven. Jonita has sung half-a-dozen tracks for Bollywood films, including the title song of Chennai Express, which she sung along with S.P. Balasubramanium, the South Indian icon. (supplied photo). We all know, breaking into the ironclad bastion of Bollywood, as an artist requires part luck, plenty of perseverance and oodles of talent. Toronto crooner Jonita Gandhi, 24, it seems has what it takes. Little wonder then that her name appears as a playback singer in half-a-dozen Bollywood songs already. On a recent spring-like day, I sat with Jonita and chatted with her on her musical odyssey, the glamour of Bollywood (hardly, it’s all work), homesickness (it’s real) and the life of a rising playback singer (apparently, it’s a waiting game). Not many people are privy to the fact that way back when she was 7; Jonita had scrawled her dreams and flung it into the universe via her diary. This journal— which would go missing only to be found again every couple of years—had sporadic entries. So, few weeks ago, when the Toronto native came home from Mumbai, her parents suggested she take an inventory of her room and toss out the stuff she no longer needed. The spring-cleaning unearthed the cherished journal. “I want to be a singer,” the affirmative words, it appears, were written when Jonita was seven. Dozens of pages later as the childish penmanship became more assured, as did her single-mindedness. She and I chuckled over the desperation of those heart-felt pleas. As Jonita connected with her younger self, I couldn’t help marvel at how her dreams had indeed translated. Not too many can revisit their childhood musings and realize—gleefully—that they are indeed living it. So far, the Western University alumni, has proved her mettle with hits such as the title song of the blockbuster hit Chennai Express, Kahaan hoon main (Highway), Implosive Silence (Highway), Eai Ki Prem (Bangali Babu English Mem), Aabhi Jaa and others. As a singer, Jonita’s versatility can be credited to her training in western classical singing and other musical influences she imbibed growing up in Canada. Her talent was nurtured and encouraged at home because Jonita’s father, Deepak’s passion for music refused to be silenced as he pursued engineering in Russia and later during his struggles as a new immigrant in Canada. Also, Mandeep, her brother plays the dhol and mom Sneh is the glue that holds the family together. So, Jonita lent her voice to the song—which included the dulcet pipes of South Indian icon S.P. Balasubramanium. After her recording, she was told the final decision on whether the track would make it into the big screen rested with the film’s leading man Shah Rukh Khan, director Rohit Shetty and the producers. The song did make it and Jonita’s singing prowess found a springboard. There’s this interesting story of how Jonita’s music struck the right chord with Bollywood legend Amitabh Bachchan. Here’s how it all happened. Even before she set-off for Mumbai, Jonita had build an impressive online portfolio. Her collaboration with pianist Aakash Gandhi (no relative) and flutist Sahil Khan was groundbreaking. The talented trio basically stripped popular Hindi/Punjabi music of all its layers and created melodies that were uncluttered, organic and simplistic. So, for a Toronto gal to get nods from not one, but two Bollywood heavyweights—Shah Rukh Khan and Amitabh Bachchan— means Jonita Gandhi is going to croon her way into the hearts of millions, soon.